Whatever your moving needs may be, Meathead Movers will help you feel at home in Union City Movers. Our professionally trained student-athlete movers and our moving concierge will be with you for the entirety of your move to Union City Movers. Welcome to Meathead Movers of Union City! If you are moving to or from anywhere in Union City, we are the moving company for you! Our professionally trained student-athlete movers and our move concierge are here to help you with every stage of your move in Union City. Located half-way between San Francisco and San Jose, Union City is a great place to live and work in. With its charming neighborhoods, strong economy, and great educational institutions, Union City is a great place for families. Its beautiful parks, immersive recreational programs, and numerous sports fields, give residents even more opportunities to get out and enjoy the city. 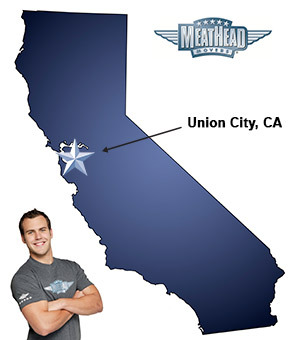 If you are considering a move to Union City, Meathead Movers is here to help. Our moving company specializes in specializes in local, long distance, and commercial moves to, from, and within Union City. We also provide reliable packing, storage, on-site relocations, and our distinctive moving concierge service. All our student-athlete movers are thoroughly screened and trained before their first move. With branches not just in Union City, but all throughout California, we are your one stop resource for all your moving needs. While there are many Union City movers available, there are no options like Meathead Movers With our 100% satisfaction guarantee, the only thing you have to lose is the stress that comes from moving! Contact Meathead Movers today for a free moving quote, and learn how we can help you on your next move! Moving to Union City? Here are some helpful resources. View more Union City resources. both packers and movers used stove top as resting place for flameable things. not good! movers burnt a blanket that ruined stove top, burnt spot in new carpeting and the place still smells of smoke. stove top needs to be replaced and a 6' by 9' carpet needs to be replaced. don't know what to do about smoke smell. it is not pleasant.